Esther Paulson was born in New Westminster in 1906. She graduated from the Royal Columbian Hospital School of Nursing in 1928. Her first position in 1928 was as a staff nurse in the Tuberculosis building at the Royal Columbian Hospital. Soon after, she was promoted to ward supervisor. In 1930 she earned a post-graduate certificate in obstetrical nursing from the Royal Victoria Hospital in Montreal and in 1934, a diploma in public health nursing from UBC. During the early 1930s, Esther was employed in private duty nursing. 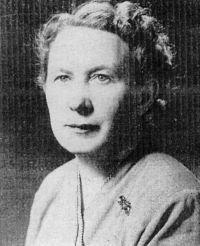 In 1935, she was appointed to the Welfare Field Service (Provincial Government) which combined the services of public health nursing and social welfare. She was stationed in Cranbrook, but covered a much more extensive area encompassing the East Kootenays. She was transferred to the Cariboo District with headquarters in Kamloops in November 1938. In 1940, she joined the Metropolitan Health Committee in Vancouver and in 1942 was on loan to the Division of Tuberculosis Control. One year later, she was appointed Director of Nursing for the province, overseeing nursing care for patients in Vancouver, Victoria, and Tranquille. Thus began her career in the field of TB nursing that was to continue until she retired in 1966. In 1944, Esther was instrumental in developing a TB affiliation course for nursing students in BC. It became compulsory, the first in Canada. When Pearson, a new TB hospital, opened in Vancouver in 1952, she was appointed Director of Nursing while continuing to act as Nursing Consultant for the Division of TB Control. Esther was involved in professional nursing throughout her career, which continued following her retirement. She was an active member of the Registered Nurses Association of BC, holding offices of secretary, Vice president and President. She received the Centennial medal and Honourary Life Membership in the Canadian Lung Association for her leadership in the advancement of TB nursing in Canada. Esther was a writer of note, having published numerous articles on TB nursing and professional issues in journals such as The Canadian Nurse and RNABC News. During her retirement she continued to write and to publish historical articles, such as the history of the Royal Columbian Hospital School of Nursing, and biographies on many prominent BC nurses. Esther Paulson was an honorary member of the BC History of Nursing Group. She passed away January 2, 2004 in Vancouver, BC. Fonds consists of three boxes of records that date from 1920 to 2004. These include textual material and photographs, the majority of which was created and accumulated by Esther Paulson. Numerous issues of The Canadian Nurse from 1936 to 1965 are included, as is material pertaining to Paulson's education and nursing career. A number of articles, both by her and others, relate to her interest in tuberculosis nursing. Others illuminate her involvement with various associations and organizations, including the Registered Nurses' Association of British Columbia, the Canadian Nurses' Association, the International Council of Nurses, and the Canadian Tuberculosis Association. The photographs document her life in the East Kootenays and the Kamloops area.